Do you want your students to get real, lasting results from their yoga practice? Imagine how much more progress your students would make if they integrated yoga into their daily routine. Would their aches disappear sooner? Would their stress be more manageable? Would their outlook on life improve? You can make it happen if you give them tools and confidence to practice yoga at home. Giving your students home practice handouts that are easy to understand and follow helps them take ownership of their practice. And it allows you to move beyond the basics and explore the depths of the yoga tradition with them. Encouraging home yoga practice shows your students that you care, that you are invested in their success and will guide them until they learn how to fly on their own. Once they do, they will keep coming back for inspiration and deeper knowledge. Save entire lines with images and text to Favorites to use in any sequence. Every sequence in our shared library has been carefully crafted according to the best sequencing principles to be safe and effective. Many sequences come with practice videos. No need to recreate the same vinyasas or re-type breathing instructions every time. Just go to the Favorites section and drag the one you want straight into the sequence. You can disassemble any pose, delete the parts you don’t want and replace them with new ones. You can also resize the pose, flip it, add props – anything you can imagine. And you can use our unique “muscle lady” selection tool to get suggestions on poses that work best for specific body areas. Just choose the body part that you would like to work with and then pick as many pose options as you want from the suggested list of Favorites. Each option includes poses, reasons for using them and movement instructions. No commitments. No credit card needed to start your trial. Customize your printout by changing page orientation, image and text size. Add your logo for a more professional look. 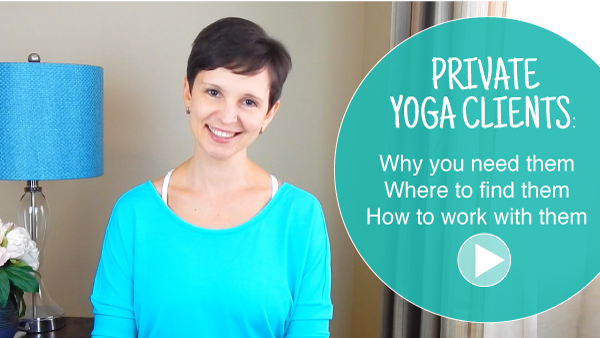 Enjoy exclusive video series, colorful infographics and spotlights on yoga poses. Get a new treat in your mailbox every Friday to enhance your teaching and inspire your personal practice. You get access to all features for $12/month or $120/year.